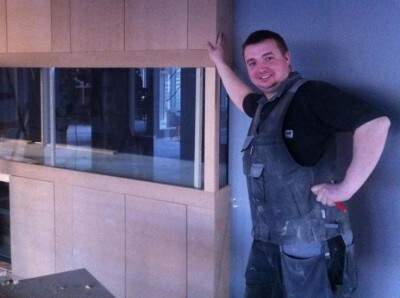 Over the years of trading we established a friendly, highly skilled team of dedicated craftsmen. We see our workers as our most valuable resource. It is our aspiration to help them reach their full potential. We carry qualified professionals of all trades such as carpenters, decorators, electrician, plumbers, electricians and so on. All contractors hold current CSCS cards. Many of them have passed First AID at Work and other Health and Safety courses. Our team is the backbone of the service and end product we deliver. The biggest challenge when we set up Home Republic was recruiting excellent and professional tradesmen and as we grow this challenge continues. There is a limited pool of professional tradesmen who can meet our customer service requirements and we are very proud of the team we have. We are growing and are always happy to speak to highly professional and skilled tradesmen. Please only contact us if you believe in delivering a customer focussed service and can demonstrate you are highly skilled in your trade. If you would like any further information on Home Republic Limited's policies then please Contact us. Welcome to Home Republic ltd. We are a professional construction company, specialising in developping your space and fulfilling your ideas. 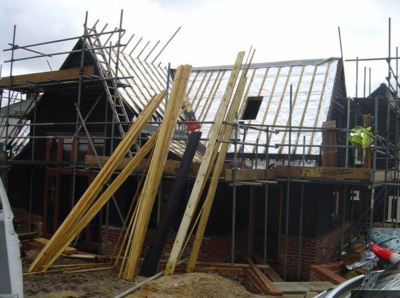 We do complete renovations and refurbishments, extension, loft and basement conversions and new builds. We managed to built our portfolio with Home Republic ltd over 6 years since it has been develloped. Our business model is based on feedbacks from our clients, therefore we take great care of managing a project for you from start to finish. Our mission is to deliver exceptional service for our customers and we take great pride in the finish we achieve. Before founding Home Republic ltd over 6 years ago, both co-founders Alex and Igor had had over 10 years experience in project and site management on large scale construction projects across London in such companies as Soho Group, Modus Group and Berkley Homes. We took part in creating Vista Village over Chelsea Bridge, Soho Hotel and Clubs, Hotel Rafayel in Battersea as well as Limehouse Hotel with best in Britain spa centre. We are very thankfull for the relationships we have developed with our customers, who are key to our success through providing referrals and references. We understand the importance of excellent customer service, with our whole team dedicated to this approach. We offer all prospective customers the chance to take as many references as they feel appropriate. 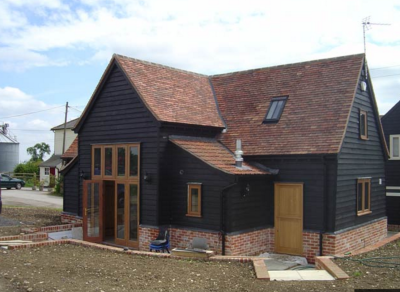 For most people there is significant investment involved when undertaking a renovation project and our view is that such a project demands the recruitment of a professional building company who understands delivering a professional level of service. We are passionate about delivering the highest standards of service and finish and it is strongly in our interests to do so. Delivering a project to such high standards leads to existing customers welcoming us back into their homes with potential new customers and recommending us to friends and family. We are proud to be a growing business in this economic climate and it is our existing customers that play such a key role in this growth. Delivering a professional level of service starts with understanding how our customers like to work with us. Each customer manages or oversees their project differently, whether they are living at the property and wish to formally liaise with Home Republic frequently or are moving out and wish for less frequent site meetings, whilst some leave us with total autonomy. Once the structure is in place for how we will work and communicate we apply this to every stage of the project ensuring you are involved as you desire. We work with various architects, structural engineers and designers to make our clients dreams of a perfect home come true. But we are also able to provide a complete service of coordinating the design and planning process for smaller projects to eliminate stress for our customers. 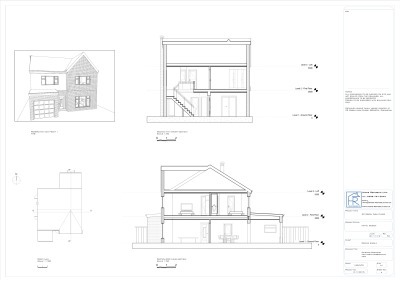 The design and planning stages are managed by one of the architects we work closely with - we would facilitate for you to deal with the architect directly and we could be involved at this stage to help visualise ideas and see how they could be implemented practically. We also do provide free pre-planning visits and quoatations to support your budgeting. It is fundamental that before embarking on the cost and time of securing planning permission, you receive the best possible input into the potential cost of the project. The efficiency of our professional team ensures we deliver a project to the standards we demand yet also in a speedy timeframe. This enables us to move from one successful project to another, creating the quantity of work to grow the business yet keep our quotes as competitive as possible. A professional quotation includes a detailed specification across each core element of the project. We spend a considerable amount of time generating a complete list of materials for every section of the project pricing, down to the last screw, ensuring that our quotes are highly accurate. We are hence able to guarantee our price is fixed and final based on all the information available. For what is a significant investment and undertaking, a written quotation should be detailed and clear - we always offer to meet in person to run through the quotation and answer any questions. Our customers' feedback is developping our business. We are delighted clients keep recommending us to their friends and families. Please be in contact to discuss your project and feel free to ask us to present the most appropriate references. We are keen for our prospective customer to see our work first. We will always offer you to see our finished or existing projects and speak directlu to our customers. Please see more information here . The guys worked at mine for 3 months and have been very reliable and serious. The quality of the structural works were impeccable, the decoration at very high standard, the plumbing and electrics just perfect. In terms of works ethics the team demonstrated great flexibility, understanding and efficiency. The team is very competent and cohesive and so the work is carried out very quickly and smoothly. In particular Alex is very good in organising, dealing with deliveries, procuring materials and products, dealing with design and specifications. 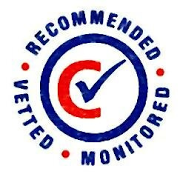 I would strongly recommend the company for any similar work – especially if required high standards and compressed timing." - Great project manager, always on top of everything and made the whole process much easier. - Always received good ideas from the company, as well as useful recommendations that paid off. - Good finish and quality of the work. - Project on budget and timelines, good one considering it was a full house renovation. - Very good communication processes and transparency in overall project and budget. Great for people that has a job apart from renovating their house. They made the process very easy from a management perspective, felt comfortable delegating lots of things to them, and results were excellent. In general, very recommended company". "I am writing this letter to recommend Home Republic ltd for the excellent work done by the team at my buy-to-let investment property in Notting Hill. Even though there were several unexpected difficulties during the course of the project, as well as a number of additional demands by me as the project developed, Home Republic was able to maintain the efficiency of the project. His attention to detail as well as proper scheduling has been very remarkable, resulting to a job well done. Again, I would like to express my gratitude to Alex for completing the project on time and to high standard. 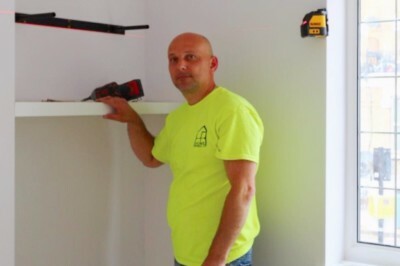 I would not hesitate to refer his team to anyone in need of quality services from a contractor". "I have been working with Home Republic ltd on various projects in West London for over 4 years. We've renovated 8 buy-to-let and buy-to-sell properties by now and have few more coming up shortly. Alex was extremely helpful and professional throughout. His team is without a doubt the best I have ever worked with. Finish they provide is of a highest standard and exeptional quality. They manage to solve the trickiest problems and unexpected issues with friendliness and absolute calmness as you would expect from the builders of such standard. Furthermore, Home Republic ltd are the members of various construction schemes which puts additional responsibility on them in a sence of managing sites and dealing with customers. Thank you so much for making our projects an enjoyable experience"
"Home Republic ltd has completely refurbished our flat and did a part refurbishment of my Dad’s flat. Alex is a first rate builder. His team is most professional, courteous and adhere to very high standards. His integrity, honesty and professionalism are beyond reproach. His design, sourcing of high quality materials and finish was impressive. "It is with great enthusiasm that we write this letter of recommendation in support of Home Republic ltd. They are certainly outstanding professionals whose excellent works merits recognition. We dealt with numerous builders throughout the previous years while developing Chinmaya Mission UK. But we can honestly say that from our first meeting with Home Republic we were thoroughly impressed with their knowledge of workmanship and professionalism which reflected in a great result. We had a lengthy list of specific wants and desires. Home Republic helped us to realize our dream through expert planning, craftsmanship and design. They exceeded the level of our satisfaction. We also want to thank them for their willingness to meet with us on many different occasions or add to the details of constantly upgrading Chinmaya Mission interior".